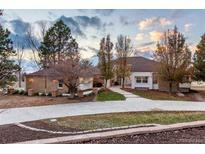 Below you can view all the homes for sale in the Chenango subdivision located in Centennial Colorado. Listings in Chenango are updated daily from data we receive from the Denver multiple listing service. To learn more about any of these homes or to receive custom notifications when a new property is listed for sale in Chenango, give us a call at 720-924-7403. One of a kind w/ pride of ownership throughout! MLS#5949731. Coldwell Banker Residential 44. Chenango offers a convenient location and is minutes from the 42 mile long Cherry Creek Trail. MLS#8768677. Re/Max Urban Properties. Move in ready! Cherry Creek Schools, Allows horses. MLS#5021454. KENTWOOD REAL ESTATE DTC, LLC.